The 13th hole marks the turn for home. The tee shot should be played left of centre to avoid the second shot being blocked by the trees down the right hand side. 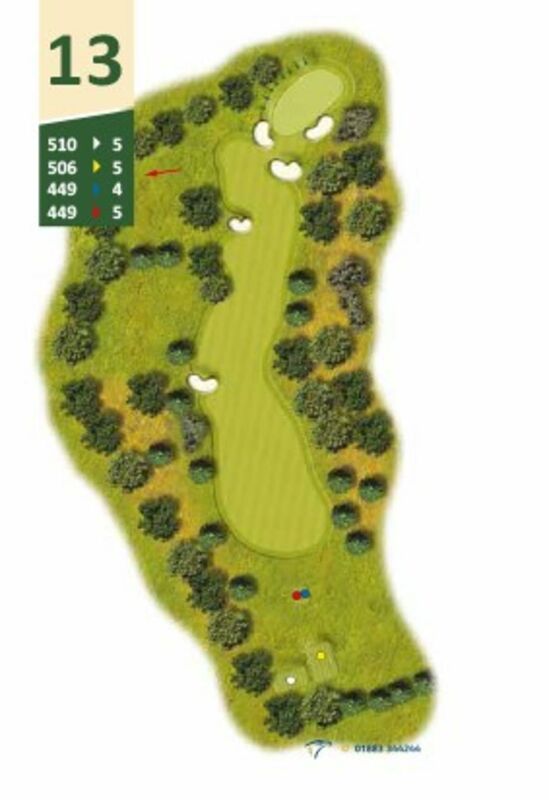 Long hitters going for the green in two shots should note the Out of Bounds in the wood to the right of the green. The green itself is subtlety contoured. It requires a good approach to get close to the flag when positioned on the top level.